Zaveris is the place to go if you need wedding jewelry!I had an amaizing time selecting my rings , Meena was soo welcoming despite us showing up without an appointment. She was patient, attentive and offered her advice , while listening to our needs . Pravin was equally welcoming patient, with a keen eye for detail. 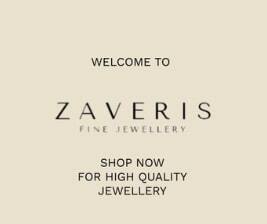 At Zaveris , I got exactly the ring i wanted , how i wanted it , when i wanted it , with exceptional service , If i had to choose all over again , i would get the exact ring at Zaveris, your jewelry is genuine exceptional and timeless! Would definitely recommend ! Ps: My hubby loved his ring as well. Thank you for the gift that accompanied the rings .